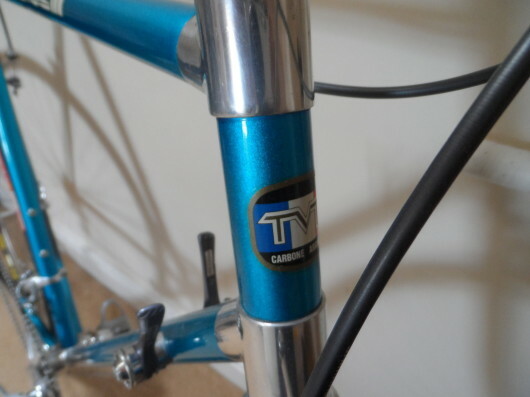 Here’s a clean example of one of the first widely used carbon frames in the pro peleton. This TVT-92 isn’t branded as something else which wasn’t as common in those days. The Dura Ace 7401 7-speed groupo looks clean and the rest of the build is period correct. Find this one on eBay in Leicestershire, UK with a reasonable Buy-It-Now price of $771.